Is Your Company Keeping Up With the Exponential Growth of Technology?? The communications experience has changed for both individuals and organizations. Is your business keeping up with the exponential growth of technology?? Businesses are racing to keep up with ever-evolving technology – and increasingly empowered consumers. Brands are on a journey to create integrated, personalized experiences that are immediate, in context, and align with the consumers needs. 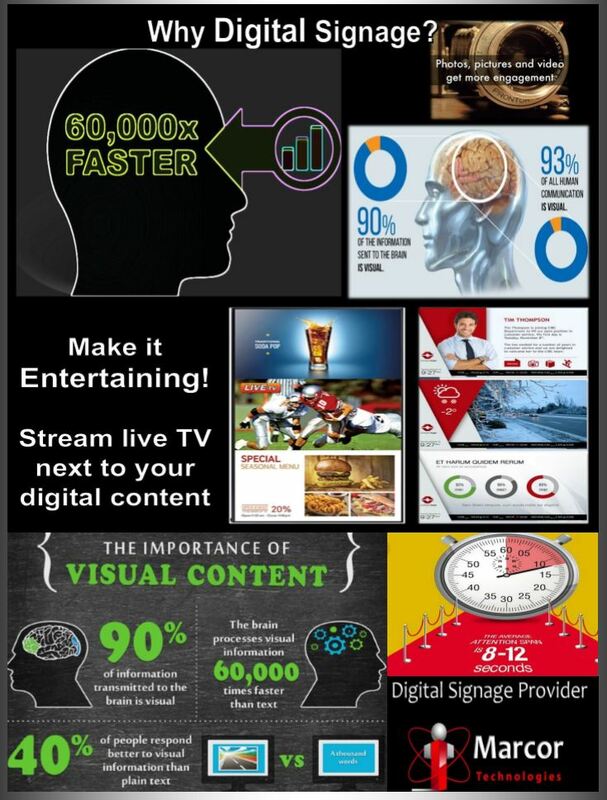 Digital Signage can answer customer questions, save them time, as well as meet their needs. The goal of a digital experience is to make memorable moments in the positive interaction with a brand. Digital experiences are points of engagement on the path toward mutual benefit.